It's the holiday season, as we all know... and most of us have probably finished shopping for a majority of friends and family but may still be struggling with ideas on what to give the person that is the hardest to buy for in our life... I know I am, then I found this great list of Gift Basket Ideas: 5 Tips To Get You Started and thought what a brilliant gift for my tougher buys this year! 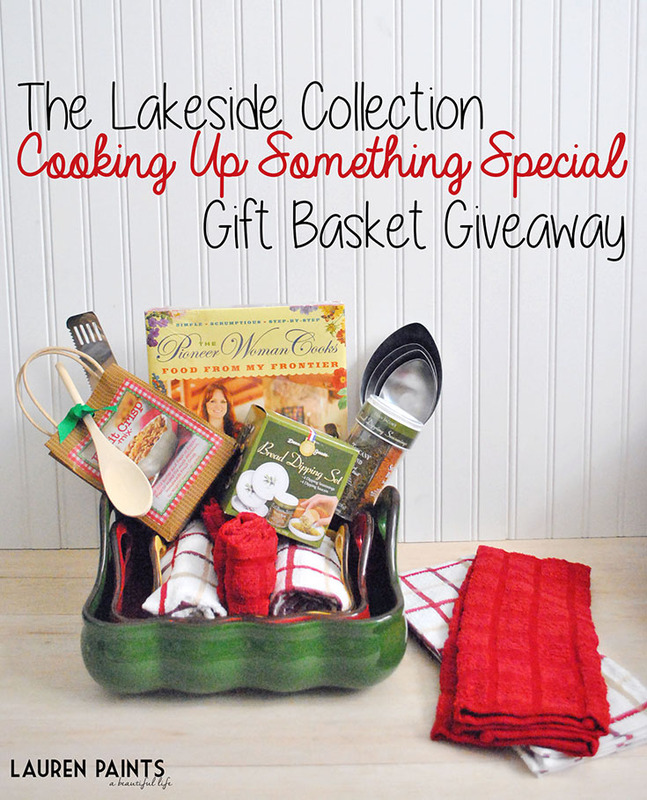 So when The Lakeside Collection reached out to me and offered to let me review and give away one of their awesome assortments from their Gift Basket Collection I was overjoyed! 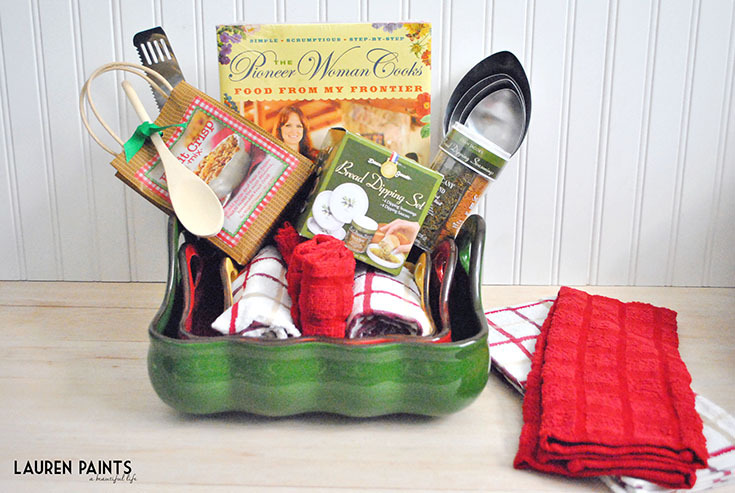 I received the Cooking Up Something Special basket in the mail and instantly fell in love - The amazingly beautiful set of 3 baking dishes, The Pinoneer Woman cookbook packed full of delicious recipes, The over-sized measuring spoons, Tasty treats, it's all so amazing and so perfectly made for anyone that loves to cook! They have a basket everyone in your family will love, from the loveable little girl basket to the outdoorsy couple bundle - you are sure to find a basket that every person on your shopping list will be happy! If you decide you want to make your own basket, you are in luck - that's an easy thing to do with The Lakeside Collection! So here's the fun part, I'm surprising one lucky reader with one of these baskets arriving at your doorstep shortly after the new year begins! Enter to win with the giveaway tools form below! Disclosure: I only recommend products or services I use personally and believe will be good for my readers. Must be 18 or older to win. This promotion is in no way sponsored, endorsed or administered by, or associated with, Facebook, Twitter or any other company mentioned above. You understand that you are providing your information to Lauren Paints | a beautiful life and not to Twitter, Facebook, or any other entity, I will not use your information other than to e-mail you a winning notification if you are the chosen winner. Enter using the Giveaway Tools form above. Void Where Prohibited. Please note that Lauren Paints | a beautiful life and all other bloggers participating are not responsible for sponsors that do not fulfill their prizes.